Welcome to Week 3 of Relationship Advice. This time, it is David Waters, couples counselor and professor at "The School of Life" where he teaches "How to Communicate Better in Love". He shares such straightforward and heart-healing advice on how our mind impacts our relationship. Just a few tweaks are enough to change your perception and allow you to be happier. "Change the metaphor that you associate with developing your relationship. Instead of “working” at it, learn to “play”. “Work” feels heavy and makes us think of future struggles, whereas “playfulness” engages the things you associate with good times, childhood comforts and moments of spontaneity. This means that instead of navel-gazing and pondering, you’re coming at the difficult things in life with humour and a lightness of touch. A couple that can laugh together, even mid-row, is in a healthy place." "Learn to spend time alone. Developing a relationship with yourself, deepened by solitary pursuits, hobbies and taking time out from work and relationships, will pay huge dividends with your partner. You will come back to the relationship refreshed, more able to express your needs (as you’re more likely to know what they are). 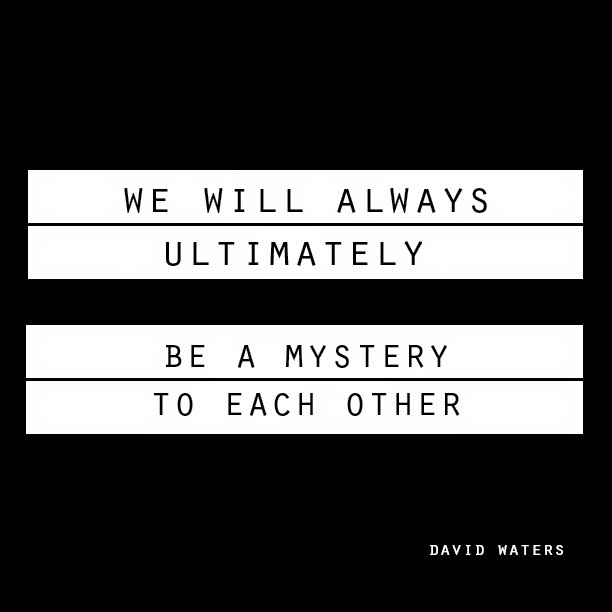 We will always ultimately be a mystery to each other – it’s more healthy for this to be acknowledged, celebrated even, than denied." "Don’t be cruel. According to research, people who sneer, ridicule or talk down to their partner are on a fast track to relationship destruction. Those in successful relationships hardly ever speak to each other that way, even when angry. If you find you want to be cruel to your partner, ask yourself what’s really going on. The fact they haven’t made the bed is never really the issue – it’s far more likely you fear that this means they don’t care about you. Instead of attacking your partner for their laziness, show your true feelings." Excerpts from an article published here , where David Waters and 4 other experts give advice on how to make your love last.